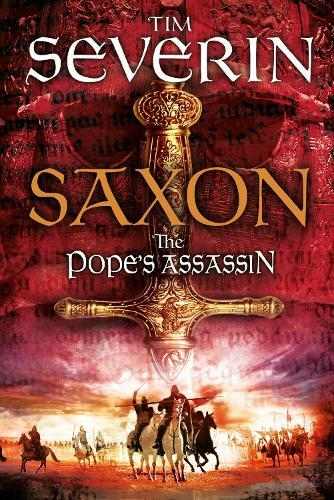 The Pope's Assassin by Tim Severin is the exciting third book in Saxon, the historical adventure series full of epic battles and captivating characters. Rome, 799 AD. Pope Leo is viciously attacked in the street by unknown assailants. Sigwulf, a Saxon prince who has been banished to the court of King Carolus in Frankia, is sent to Rome as a spy to discover who was responsible. There, he discovers a web of lies - the only clue to who the attackers are is an intricate gold buckle, which Sigwulf links with a mysterious gold warrior flagon he finds in the home of the Pope's chamberlain. Could the attack have its source in the highest levels of the church? Pope Leo had made enemies among the nobility on his rapid ascension to St Peter's Throne, and there are many who would see another in his place. Sigwulf returns to Paderborn Palace in Frankia to report his discovery, but then the flagon is stolen, and he is tasked with tracing it. His journey takes him deep into dangerous territory, to the notorious stronghold of the pagan Avars . . .